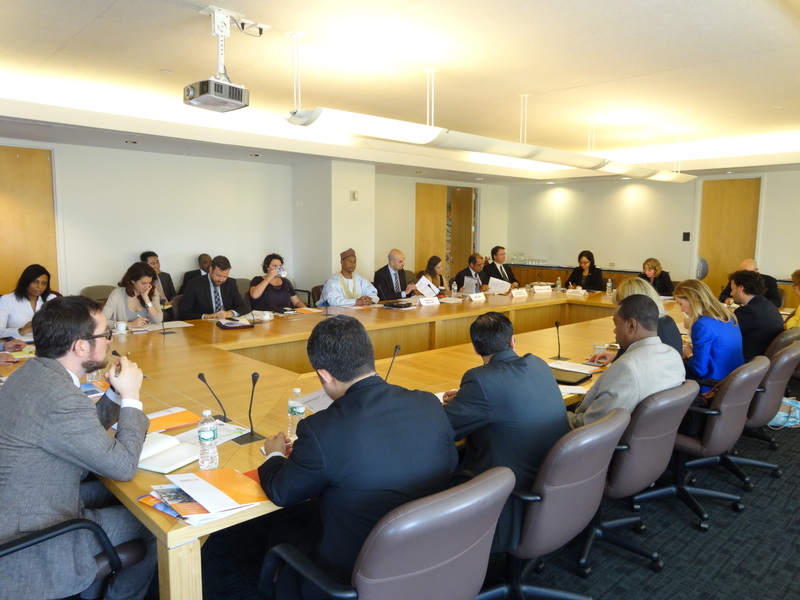 The Permanent Mission of Australia to the United Nations and the Global Center hosted a closed-door roundtable to explore ways in which the UN Security Council can support member states and UN entities to strengthen their efforts to counter violent extremism. Participants reflected on current and past efforts of the Council and its expert bodies, including in particular the Counter Terrorism Executive Directorate, to undertake countering violent extremism (CVE) in the context of implementing resolutions 1373, 1624, and, most recently, 2129. Speakers noted in particular the increasingly complex nature of security challenges confronting member states as well as the UN, in both mission and non-mission settings, and considered how CVE could contribute to broader multilateral efforts to prevent conflict and support development. This roundtable builds on earlier discussions with Council members on the topic. The meeting brought together Security Council members as well as a diverse group of key stakeholders including UN entities such as the Department of Peacekeeping Operations, Department of Political Affairs, the Alliance of Civilizations, and the Counter-Terrorism Implementation Task Force. The discussions elicited comments and questions surrounding the definition, scope, and ownership of CVE at the United Nations and the need for wider institutional input as CVE norms and practices gain momentum at the national, regional, and international levels. This closed-door roundtable was followed by an open lunchtime discussion on the topic with Dr. Fatima Akilu, who is a Director in the Office of the National Security Advisor in Nigeria, with a focus on CVE. Dr. Akilu described Nigeria’s CVE program as their “soft approach to terrorism,” focusing on education, mental health, and arts and culture. She sees the UN playing a leading role as a CVE actor, for example, through institutionalizing CVE, providing a common platform for CVE engagement, and providing support for the development of national and regional CVE strategies. Moreover, she thanked the Council for their strong action against Boko Haram and hoped that CVE engagement might offer a platform for enhanced regional and international cooperation.